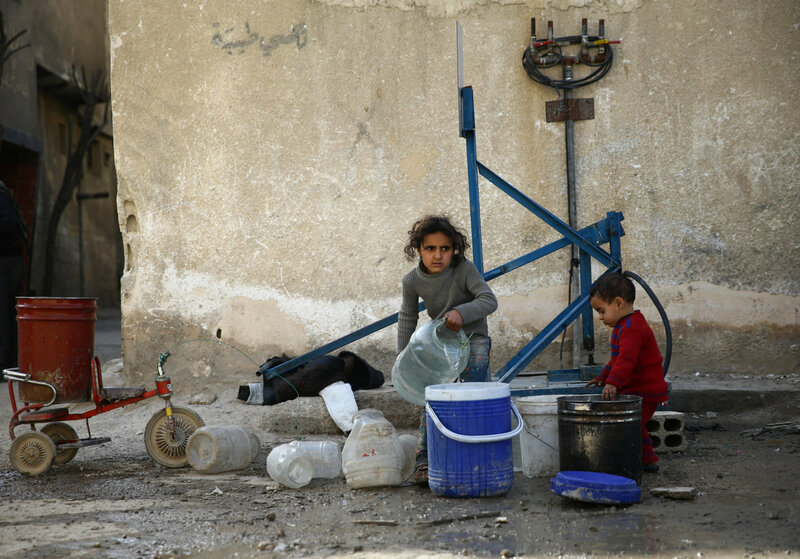 BEIRUT - Syrian government forces divided the eastern Ghouta enclave outside Damascus into two, pro-government media said Sunday, dealing a major setback to rebels and threatening to exacerbate an already dire humanitarian situation at the doors of the country’s capital. 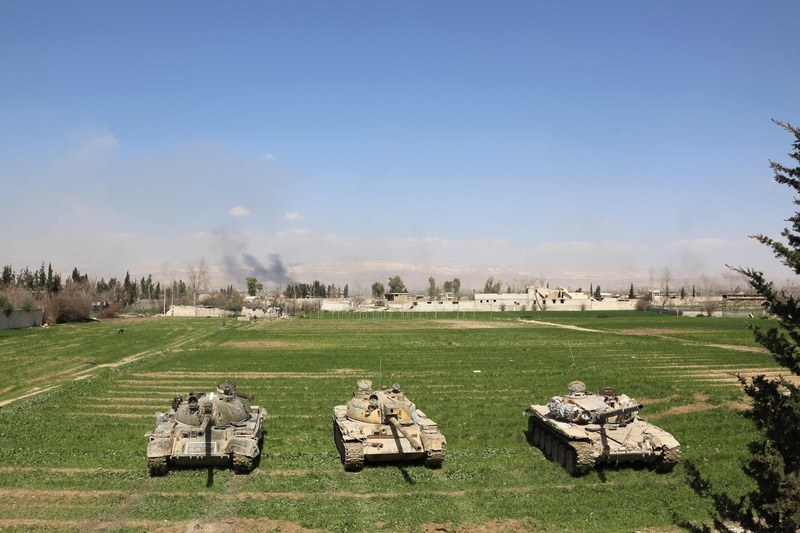 A military media outlet linked to the Syrian army and its Lebanese allies, the militant group Hezbollah, said pro-government forces broke through rebel lines to establish a corridor through the besieged eastern Ghouta region after capturing the town of Mudeira. 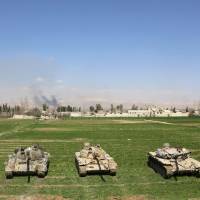 The advance cuts off the towns of Douma and Harasta from the rest of the enclave, according to the Central Military Media outlet. Douma is eastern Ghouta’s largest settlement. 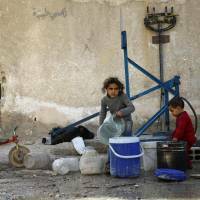 In Douma, residents and local authorities are now considering evacuating the town, said local council member Iyad Abdelaziz. “The idea of leaving was refused outright, at first, but now with the regime advances and the siege that’s been tightened, there are negotiations about something along those lines,” Abdelaziz relayed to The Associated Press by voice note. Government jets pounded Harasta Sunday evening, said Hezbollah’s al-Manar TV station, which was broadcasting live from a lookout over the town. Hezbollah is one of several regional Shiite militias organized by Iran to support government forces and put down the rebellion sparked by the violent crackdown on anti-government demonstrations in 2011. The government’s advance followed 22 days of intensive ground and air assaults on rebels and civilians trapped inside eastern Ghouta, which have killed over 1,100 people according to the Syrian Observatory for Human Rights monitoring group. 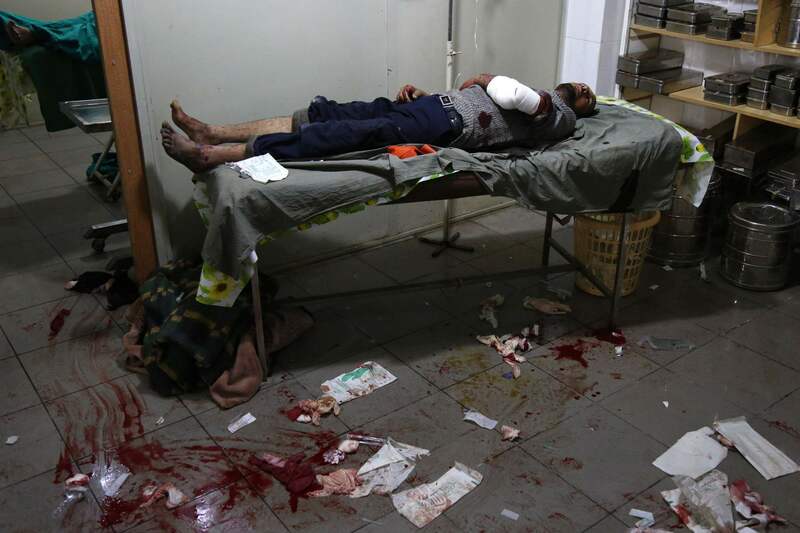 At least 12 civilians died under shelling and airstrikes on Sunday, according to the Observatory. 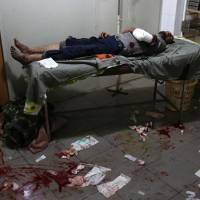 The activist run Ghouta Media Center put the toll at 17 dead. The Civil Defense search-and-rescue group, also known as the White Helmets, said the town of Arbeen was struck 44 times, killing nine people. The Syrian military command said it established a humanitarian corridor to allow civilians to leave eastern Ghouta, but few have used it. Residents are afraid of being conscripted into the army, or being detained arbitrarily or barred from returning to their homes. “No one feels safe turning themselves over to the regime and hoping they will be treated as a regular citizen again,” said Abdelaziz. Russia’s military command in Syria said Saturday it was negotiating with rebels to let them leave eastern Ghouta, but one of the two leading factions, Faylaq al-Rahman, issued a statement saying it will refuse to surrender or leave. Russia is a key military backer of President Bashar Assad’s forces, and is supporting the government’s assault on Ghouta. Residents have been crowding into basements with little food and water, and typically limited ventilation and no electricity, to shelter from the indiscriminate bombardment. The international medical charity Doctors Without Borders said 15 of the 20 hospitals and clinics it supports have been damaged, and said it has recorded more than 1,000 deaths at its medical centers. The eastern Ghouta enclave has now been split in two, with one side measuring 27 sq. km (10 sq. miles) and the other 22 sq. km (8 sq. miles). Russia’s military said 52 civilians were able to flee the enclave for safety in government-held territory outside. Maj. Gen. Vladimir Zolotukhin of the Russian center for reconciliation of Syria’s warring parties said the evacuees would receive “all necessary assistance” within two days, according to Russian news agencies. There were 26 children among the evacuees, according to their reports. 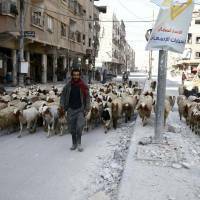 They were the first recorded civilian evacuations from eastern Ghouta since government forces outlined a humanitarian corridor for escape more than one week ago. 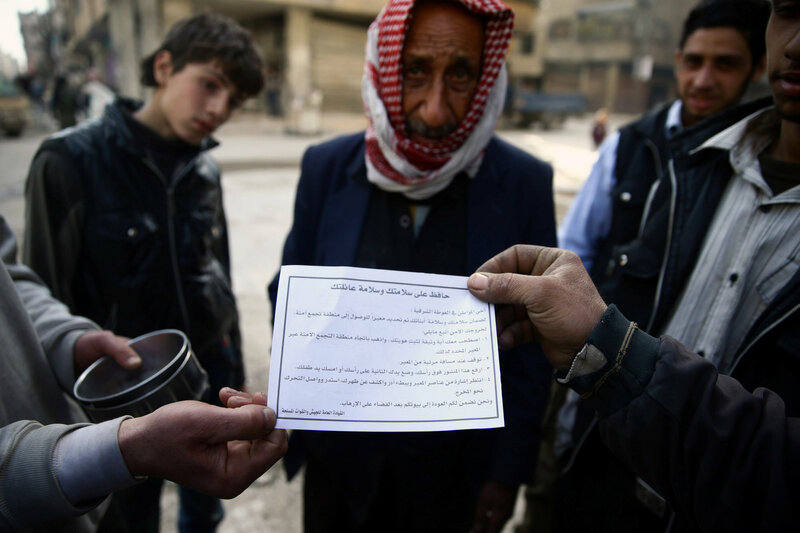 Russia and the Syrian government accused rebels of blocking civilians from fleeing. 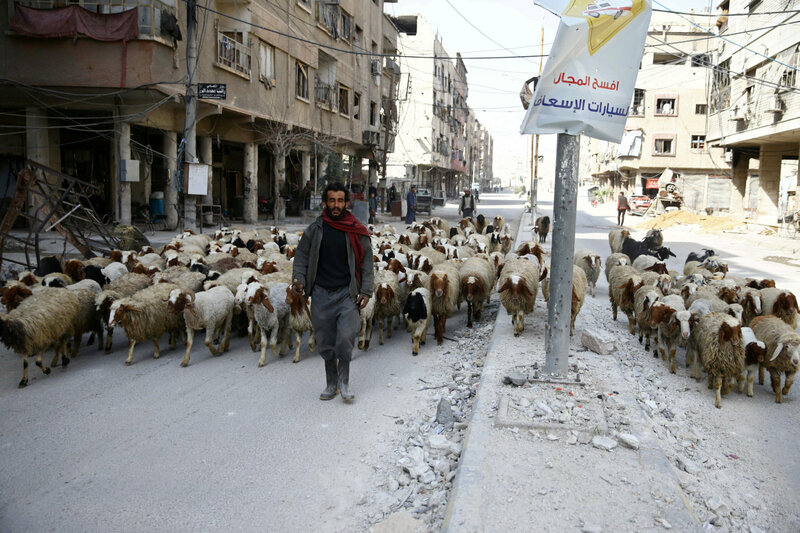 The U.N. estimates there are 400,000 civilians trapped in the siege.